A fresh retelling of the biblical story of Martha, sister of Mary and Lazarus, shows her strength, character, and vulnerability as she serves her family and her Lord. Perhaps one of the most misunderstood and misrepresented characters of the New Testament is Martha. Often painted in the colours of reproach, Martha seems to be the poster child for how not to be a follower of Jesus. 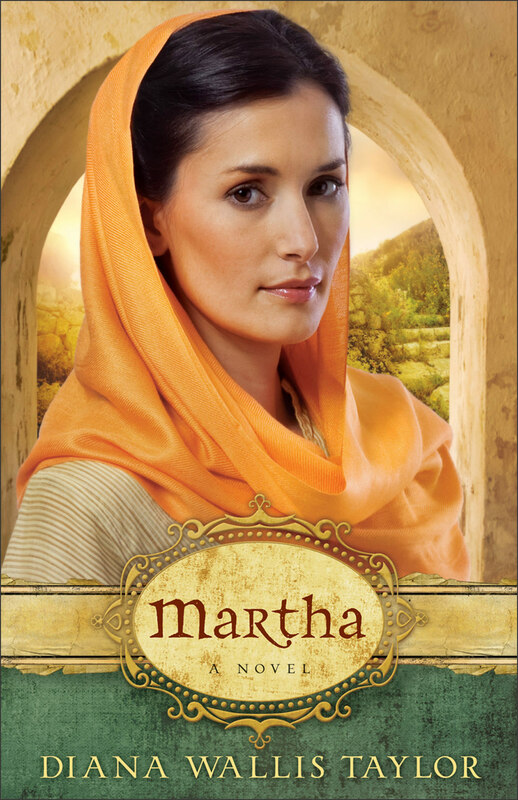 From the mind of Diana Wallis Taylor comes this touching, well-researched portrayal of Martha of Bethany, sister of Mary and Lazarus. Through Taylor's lush descriptions and inspired combination of imagined and recorded dialogue, Martha's world--her trials, triumphs, and loves--vibrantly comes to life. Follow Martha as she is jilted by her betrothed, falls in love with a Roman soldier, grieves the death of her father, cares for her siblings, and serves her Lord with dignity and grace. Readers will never read the biblical story of Martha the same way again. Martha by Diana Wallis Taylor was published by Baker in July 2011 and is our 4882nd best seller. The ISBN for Martha is 9780800734657. When my first book of Biblical Fiction was completed for Revell and was well received, the next question was who to write about next. In a Bible study I was attending at the time, the subject was Martha and I felt the Lord was nudging her into my heart. What a pleasure to take a woman who has been presented in a negative way in the Scriptures (and in the pulpit) and show a different facet of her personality. What was her life really like? What joys and sorrows could she have experienced? How can I give my readers a person they can identify with? These are the questions I began to ask myself. Like most writers of fiction, I pull my characters from composites of people I?ve known. Since Revell also wants a love story, Martha needed to experience love in her life, both love lost and gained. I wanted to leave her with a future of hope. I read voraciously every book on my subject, not only to see what has been written but to steep myself in everything I can on the times, clothing, food, customs, settings, until I feel I?m living in that place in time. Perhaps this is why my readers also feel they are ?there? in the story. I also feel the inspiration of the Holy Spirit as I write. When I come to a difficult portion and am not sure which way to go, I leave it with Him and usually wake up in the morning with a new idea. I want to touch women?s lives in a positive way. While I make it a point to stick to Scripture where it is used, there is so much ?Poetic license? to introduce wonderful characters and even incorporate well-known incidents with other characters. I also needed to show Martha?s heart in spite of the heavy load of responsibility she carried. I enjoy fleshing out my characters and showing not only their faults, but the positive side of their personalities. We tend to put some Bible characters on a pedestal, and yet all of the great heroes of the Bible seemed to have clay feet. They weren?t perfect. My readers see that my heroines are not perfect, but they also see how much the Lord loved them anyway. He looked into their hearts and understood their deepest feelings. People ask if I have any formula for writing. Everyone writes differently. When writing I do use 3x5 cards just to keep track of names and pertinent facts I need to be reminded of as the story progresses. (Such as, what WAS that servant?s name?!) Mostly, I followed the characters where they led me, putting myself in their shoes as to thoughts, feelings, actions. What would they do in this situation? I am so pleased at the reception to Martha. She was a wonderful character to write about. Of course anything not in the Bible is a figment of someone’s imagination, but there has always been serious study of background information to make the story as plausible as possible, and this is what has been done here. Incidents recorded in the Gospels have been woven together to make a story of Martha that just could be true. It really doesn’t matter. It probably didn’t happen this way – but it might have done! What the book does well is to describe what it was like for a family living in Bethany at that time. The day to day routine, the way the community behaved, and what befriending Jesus meant for them when the Temple authorities were intent to kill Jesus and wipe out any support for him. I had never seriously considered what this would mean for Lazarus, or the healed leper who returned to thank Jesus. A book like this makes us stop and think of these people and how their lives will have been changed. Yes, Lazarus was raised from the dead. Yes, the leper was now able to return home, but what then? Got a question? No problem! Just click here to ask us about Martha.